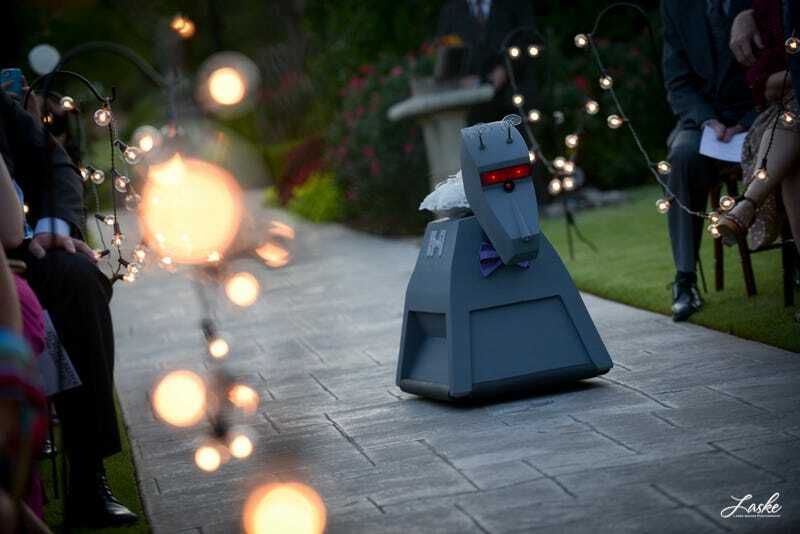 We always love to see couples share their love for geeky things on their wedding days, but until now, we didn't know what was missing from all those Doctor Who weddings: a remote-controlled K-9 in a bow tie carting the rings down the aisle. Kelsie Curtis' father made her this extra-special wedding gift, adding a bit more Whovian charm to the festivities. Sure enough, K-9 delivered the rings to the altar. Photos by Laske Images. Head over to the Mary Sue for more pictures from the happy day.